The process for a Canelo Alvarez and Gennady Golovkin trilogy has begun, as Oscar De La Hoya and Golden Boy President Eric Gomez have begun talks with GGG’s team. 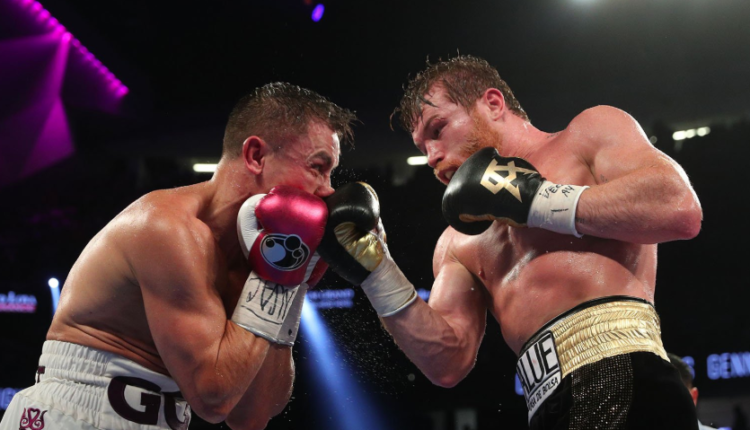 De La Hoya is hoping to lock down a third fight between the middleweight stars for Alvarez’ return to the ring on May 4th at the T-Mobile Arena in Las Vegas. With the first fight going to a controversial draw, and Canelo taking a slim decision victory over Golovkin, both sides have expressed interest in a third fight. “Last night I had preliminary talks with Golovkin’s people. We threw it out there about fighting for the third time on Cinco de Mayo, which is the biggest weekend in boxing in Las Vegas,” De La Hoya said to ESPN Radio Houston over the weekend. “Looks like [Golovkin] does not want Canelo anymore. Prefers easy [fights] as before. We will see friends,” Gomez stated on social media. Last week rumors swirled that Golovkin and his promoter Tom Loeffler were ending their business relationship, which was cut down by Loeffler, who made it clear he is still on-board with Team GGG. With that being said, Golovkin has yet to sign with a new network or platform after HBO Boxing closed their doors at the end of 2018, as Golovkin would sign a five year $365 million deal with the DAZN streaming service.